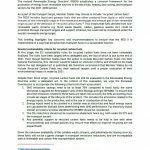 MURMANSK – Officials with a joint Russia-Norwegian effort to rid the Kola Peninsula of radioactively dangerous and largely orphaned radioisotope thermoelectric generators (RTGs) said they have cleared all such units posing a threat to the environment and people as of last week and sent them for long term storage at the Mayak Chemical Combine. “This is an important event,” said Bellona nuclear physicist and daily manager Nils Bøhmer from Oslo. RTGs – the brainchild of the Soviet nuclear energy machine – are essentially nuclear powered batteries that convert thermal energy from the decay of strontium elements into electricity. Hundreds were positioned in Russia along coasts lines and remote areas to power lighthouses, navigation beacons, and meteorological data collection installations, but that was decades ago. In the upheaval following the fall of the Soviet Union, the bulk of these devices were abandoned as maintenance schedules were skipped and documentation on them lost. As a result, they have lain – several years beyond their decommissioning dates – like radioactive landmines strewn across Russia’s distant regions. 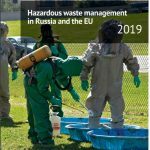 The past several years have seen incidents of RTGs being vandalised for the metal that encases them, wherein metal scavengers in the Murmansk area leave the strontium cores exposed. In other instances reported earlier this decade in the former republic of Georgia, hunters and shepherds in the mountainous region were turning up with radiation sickness after warming themselves next to RTGs. The joint Russian-Norwegian project on the Kola Peninsula has operated under the aegis of a radioactive-ecological agreement between the Murmansk regional government and the northeastern Finnmark province of Norway. As of 2007, Norway alone had poured NOK 54 million ($10 million) into the project of locating and removing the devices via the Kandalash port. The Russian-Norwegian project – called “the substitution of RTGs for alternative sources of electrical energy at lighthouses serving the Northern Fleet on the banks of the Barents and White Sea in the Murmansk and Arkangelsk regions” – has been running since 2000. All of the collected generators were sent to the All-Russia Scientific Research Institute of Physics and Automation, where they are to be dismantled and their sources of radioactive thermal energy extracted. They will then be sent to the Mayak in the southern Urals for long-term storage. “It is good that these very radioactively dangerous, such powerful sources of ionized radiation, have been liquidated. There is at least one known situation when people got to an RTG and received significant dose of radiation,” said Bellona Murmansk Chairman Andrei Zolotkov. Replacing the RTGs with completely safe solar energy installations was made possible in the Murmansk Region by financial support from the office of the governor of Finnmark, Norway. The first such energy source was installed in Belokamenka on the Northern Kola Peninsula. Aside from the RTGs around Murmansk and the Arkangelsk Region, the Russian-Norwegian project is decommissioning 27 generators belonging to the Ministry of Transport in the northerly Nenets Autonomous Region, which will be dismantled and removed during 2008 and 2009. The decommissioning of each costs approximately 1 million roubles ($40,000). Ten units have already been removed from the Nenets Autonomous Republic as of this year. By the end of September, another six are planned to be dismantled, and the remaining 11 by 2009. RTGs remaining in Russia’s Far East still present a critical problem. There remain no plans on the drawing board for RTGs In the Leningrad Region, which encompasses St. Petersburg. Recent discussions have focused on whether Finland ought not follow Finnmark’s example and earmark funding for the removal and decommissioning of RTGs that lie close to its border with Russia. But STUK, Finland’s nuclear oversight agency, has concluded that in comparison to the fatally flawed Chernobyl-type RBMK-100 reactors at the Leningrad Nuclear Power Plant, whose safety Finland is supplying finances to ensure, RTGs present much less of a threat. Finnish funding for St. Petersburg-area RTGs, therefore, doesn’t seem to be in the cards. “(…) it is important to continue work with these installations remaining in Russia because they can still be used for the creation of dirty bombs,” said Bøhmer. “Bellona hopes that the generators will be safely decommissioned at Mayak,” he added. The interior of an RTG contains a capsule of the radioactive isotope strontium-90, whose half-life is 29.1 years. The contents of the capsule are thought to be safe after 900 to 1,000 years. 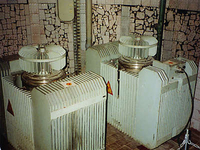 During Soviet times, more than a thousand such generators, belonging primarily to the Transport and Defence Ministries. At present, there are more than 700 RTGs throughout Russia. As the engineered life span of RTGs is from 10 to 30 years, meaning each unit still remaining is well beyond its decommissioning date. One of the chief dangers of RTG are their remote locations, where they can fall prey to terrorists who could use them in a dirty bomb. Such a danger is all the more realistic as several instances of metal scavengers who have dismantled RTG units have been recorded. One of the most recent incidents involved the theft of an RTG on the Baltic Spit in the Kalinigrad region in February 2007. Moreover, many RTGs are considered to be orphaned, and their actual locations are not known, or their locations and disposition are misreported in official documentation. One such RTG was reported to Bellona Web by Yury Kapasayev, an explorer who knew the disposition of an RTG in the Far East Chukotka region that went missing on the Kuekvun river in 2002. “The RTG there was taken east on a sand bar about a kilometer out (into the river) and covered with sand by the field man Nikolai Vlasov, who feared river flood waters would cave in the banks,” said Kapasayev. 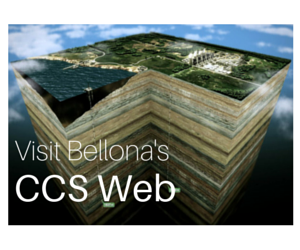 In official documentation view by Bellona Web, however, this particular RTG is explained as having sunk into the ground by its own weight. “The example of trying to use nuclear energy in RTGs, such micro-nuclear power plants is a good illustration of the situation with large scale nuclear energy,” said Andrei Ozharovsky, an engineer and physicist with the environmental group Ecodefence. According to Ozharovsky, when the negative effects of nuclear energy use were underestimated, the nuclear industry really worked in accord with the Soviet slogan “The Peaceful atom in every home,” and tried to use nuclear power everywhere. When it later became apparent that the dangers had not been well evaluated, and that the risk of an accident with a release of radiation superceded the advantages of radioactive, it became clear that the generators were a dangerous dead end. They are further easily replaced by solar batteries. “Something similar needs to happen with nuclear power plants. At first we believed in them, considered them progressive. Then, having seen all the defects and dangers, they became a dead end and began to be replaced by renewable energy sources,” said Ozharovsky. Anna Kireeva reported and wrote from Murmansk and Charles Digges wrote and transalted from Oslo.